By massively rigging the vote and having it declared a day before the actual election date, Ilham Aliyev's regime increased the possibility of a civil war. Only the very naïve would have expected the latest presidential “elections” in Azerbaijan held on October 9, 2013 to be free and fair. Even a cursory glance at reports by various international organizations confirms that since 1995 all elections held in Azerbaijan under the Aliyev family regime have been totally fraudulent. The latest presidential “election” followed the same pattern of fraud as the previous ones. None of the above really matters. Western regimes often label elections in most Muslim countries as fraud, but still continue backing autocratic rulers wherever and whenever they can. The fraud aspect of the latest “election” in Azerbaijan should not be the focus of a serious analysis of the existing situation in Azerbaijan. There are three other strategic ramifications that should be evaluated. As pointed out by Crescent International in August 2012 (see “Confronting the brutal tactics of the Azeri regime”), one of the principal reasons why the Aliyev regime is able to stay in power is the fact that it has used the “main” opposition parties to legitimize the contrived “elections.” Political parties partially tolerated by the regime frequently participated in such “elections” in order to create a veneer of democracy and channel the energy of the impoverished and oppressed population toward a controlled and, therefore, doomed struggle. After the latest “presidential election,” this tool can no longer be used. The major opposition parties have lost all credibility — it was already low — with the population and are no longer of any use to the regime. It will now have to invent something new and untested in order to control the growing socio-political dissatisfaction. Most likely it will unleash takfiri minded (Wahhabi) groups to distort the image of the Islamic movement within Azeri society. The aim is to repress, vilify and delegitimize the authentic Islamic movement in Azerbaijan that is gaining widespread support. The US government, one of Aliyev’s main backers, utilizes this method throughout the Muslim world. Keeping in mind the fact that Matthew Bryza, US ambassador to Azerbaijan from 2010 to 2011, calls the Aliyev regime “a stalwart partner,” it would not be surprising if Washington’s political consultants are already training the regime on how to use the takfiri card to discredit the authentic Islamic socio-political forces. In terms of a long-term strategy the takfiri card is the regime’s only viable option, as it is the only “new” socio-political element over which the regime exercises some degree of control. Nevertheless, this maneuver is full of risks, as it requires a great deal of political and intelligence sophistication to implement it. The Aliyev regime lacks these qualities. This method of controlling the Azeri population, therefore, might at some point lead to unintended consequences. By raising expectations of a segment of the population that the latest presidential elections will be more transparent and then conducting it in the usually fraudulent manner, the Aliyev regime has increased the probability of civil war. In every society when people lose complete hope in socio-political mechanisms to express their dissatisfaction, civil war becomes the inevitable consequence. In terms of long-term survival, the regime has probably shortened its own life span through the latest election fraud. The steps taken by the regime after the “elections” clearly show that it is not going to make any meaningful compromises or conduct strategic reforms. The only thing that can avert a civil war is if the regime reinvents an “opposition” for itself in order to channel the dissatisfaction of the people in a controlled manner. In the post 2013 elections environment, this scenario does not look promising. All socio-political groups that the regime can co-opt are completely discredited. Currently the regime is attempting to substitute the role previously allocated to the “main opposition” parties through an organization called REAL, but this is doomed to fail. REAL’s bourgeoisie type vision does not appeal to the masses and the movement is practically unknown in rural Azerbaijan. The third crucial ramification of the latest presidential “election” is the inevitable rise of the Islamic movement as the major opposition force to the regime. Zardush Alizade, Azerbaijan’s most informed political analyst and one of the founders of Azerbaijan’s Popular Front movement and the Socialist Party acknowledged this fact. Prior to the 2013 “election” the so-called “main opposition” parties tried their best to maintain a distance from the Islamic movement in order to win praise and handouts from Western regimes. This time however, the alliance of the regime-tolerated opposition parties operating under the name, the National Council, was desperately trying to win support of the Islamic movement’s leadership. 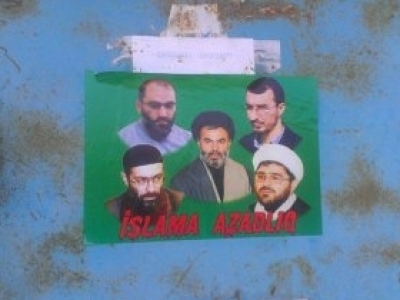 The National Council tried its best to make sure that pictures of members of the Islamic movement were visible to the public at their small campaign rallies. 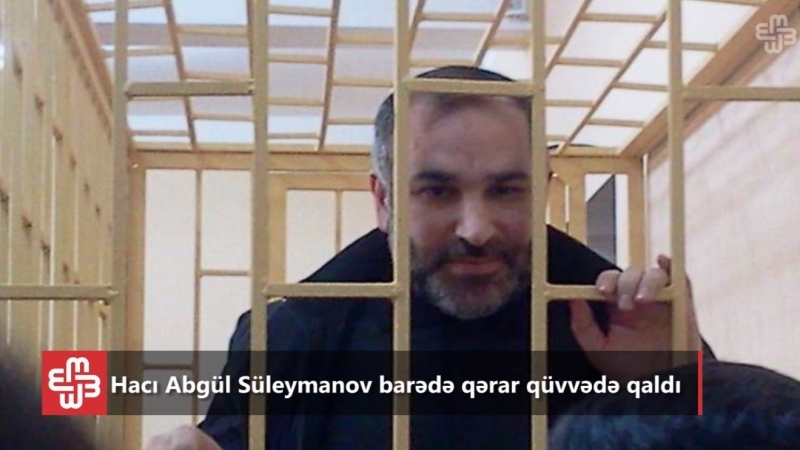 The regime-tolerated opposition also tried desperately hard to win support of key leaders of the Islamic movement that are currently in prison, namely that of Dr. Movsum Samedov, Abgul Suleymanov and Taleh Bagirov. This policy of the “opposition” clearly highlighted the fact that the Islamic movement in Azerbaijan can no longer be ignored. 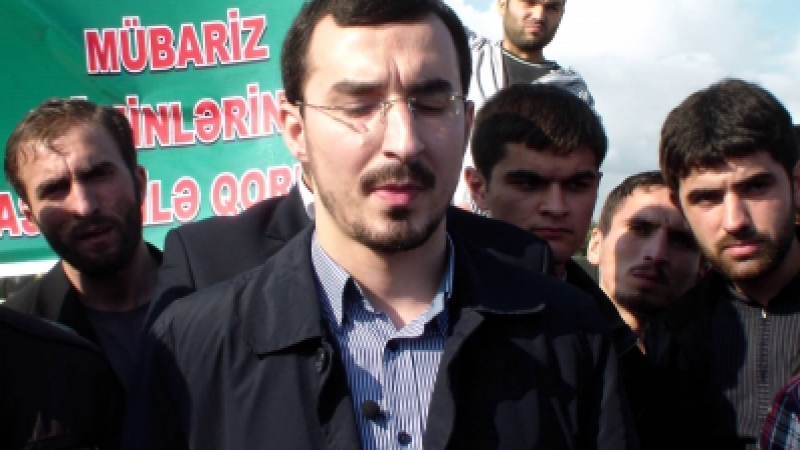 The fact that its imprisoned leaders were influencing the campaign of the tolerated opposition from within the prison walls is an unprecedented phenomenon in Azerbaijan’s modern history. This fact once again shows that the harder the regime clamps down on the Islamic movement the stronger it gets. 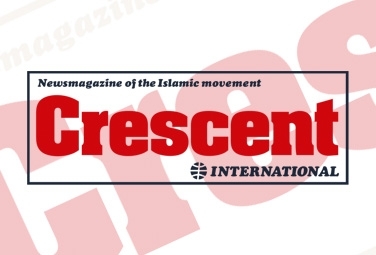 In the run up to the “elections”, the Islamic movement utilized the politically charged atmosphere within the country to the best of its limited ability. Due to its decentralized leadership it took a diversified but strategically united approach. This allowed the Islamic movement to create an environment in which it could appeal to a variety of sectors of the Azeri society. From the boycott camp led by Dr. Movsum Samedov to a confrontationally constructive position toward the opposition expressed by Abgul Suleymanov and Taleh Bagirov, all options were utilized. The new reality of the post-“election” political landscape is that a force not tied to the regime, and that relies on principles and is committed to a worldview will derive its legitimacy solely from within Azerbaijan, and will shape the new socio-political environment. Even in severely repressive circumstances, the Islamic movement in Azerbaijan has demonstrated a degree of political maturity that the regime is unable to manipulate or control. This is the beginning of a process that will lead to the demise of the unelected regime in Baku.